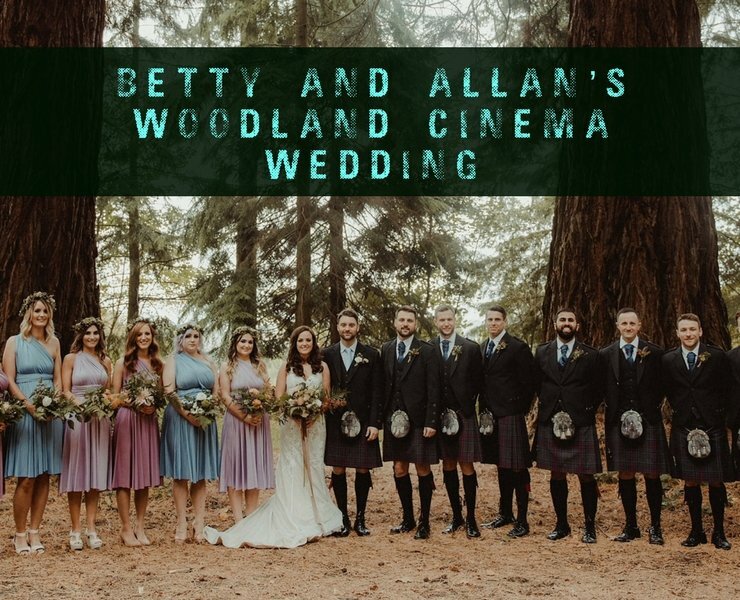 I'm into forest walks and he's into movies.... so how could we possibly not have a Woodland Cinema themed wedding! 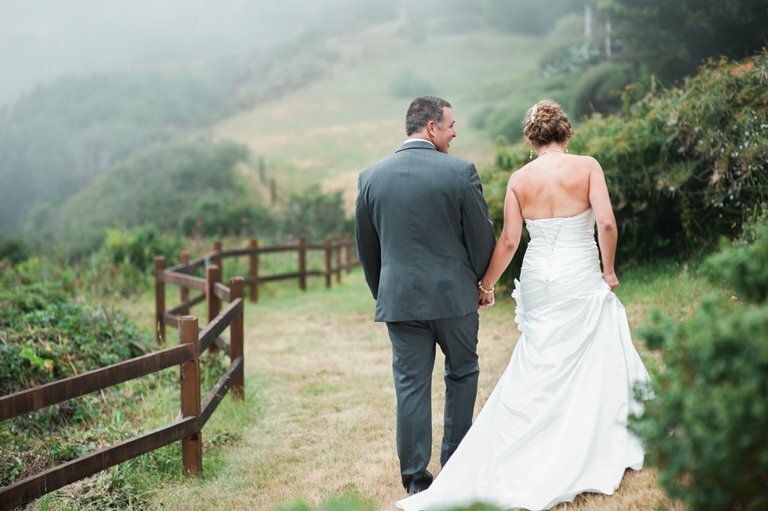 Yes ok, granted it isn't your classic wedding theme, but it is classically us and that is exactly what we wanted our wedding to be - a reflection of us as individuals and as a couple. 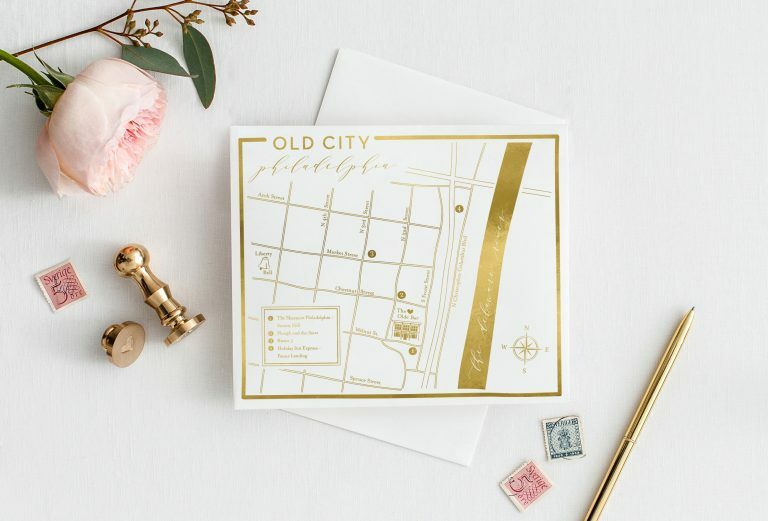 When we first got engaged I was definitely the enthusiastic driving force of the planning - I was coming up with ideas and Pinterest boards galore firming up my "vision." Allan was somewhat slower out the starting blocks, which had lured me into a false sense of security that I might get to make every decision for the wedding - no such luck - once he was on board it was team decisions all the way. This of course meant that I didn't always get my own way [queue toddler tantrum] and we had to do a little thing called compromise (what good practice for marriage!). 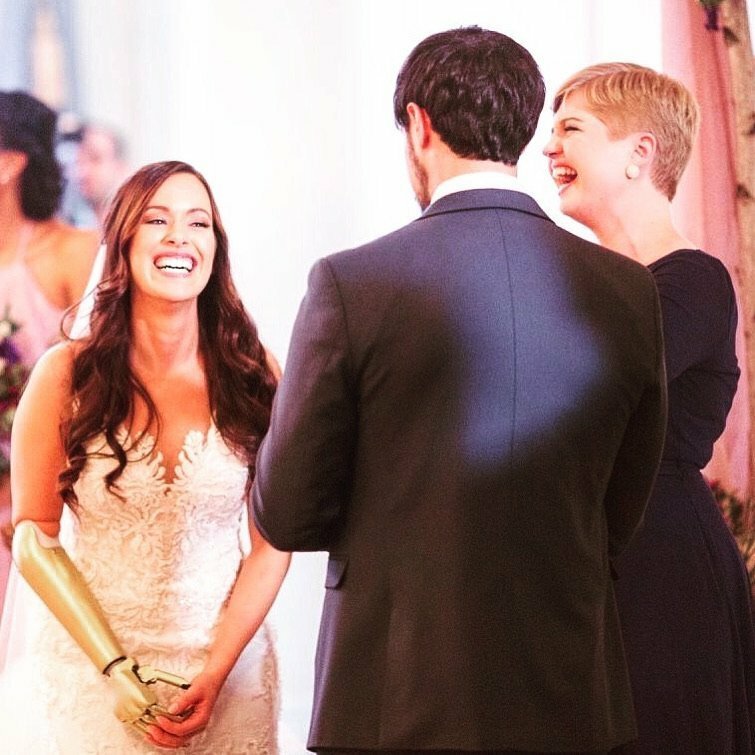 However, in the end, this meant that we had a wedding that was totally personal and totally "us." We both agreed that we wouldn't do traditions for the sake of traditions but would pick and choose what was meaningful to us. I wanted my dad to walk me down the aisle but didn't want him to "give me away" (I am not being passed from one man to the other as a business transaction). I wanted to do a speech (I am not prepared to sit quiet and let the men do all the talking)..... oh did I forget to mention that feminism was a secret sub-theme of the wedding! We wanted the ceremony to be personal and to add in a Handfasting ceremony to reflect our Scottishness and we adapted it to symbolize the joining of two families by using ribbons made of our clan tartans. One of the best tips I read was in an article by a wedding planner. She said rather than start with a theme, pick three adjectives that you want your wedding to be, and build your wedding from there. 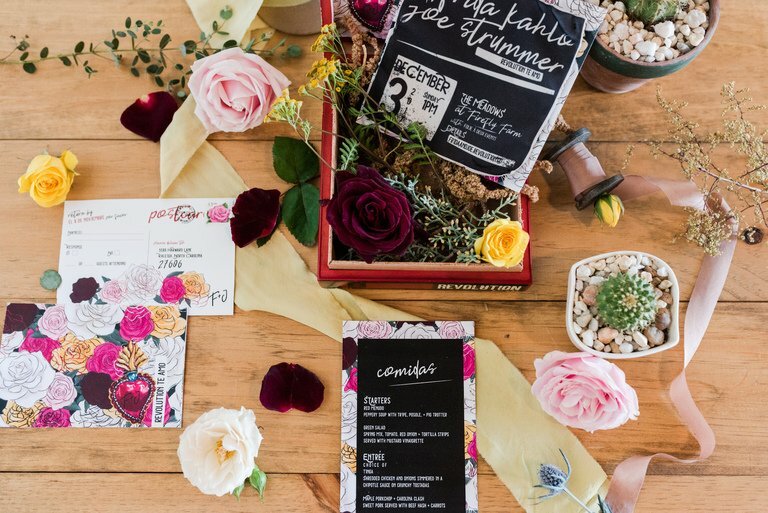 She said that starting with a theme could lead your wedding to feel a bit 2D, but working your way from a broad starting point and refining makes it a more fluid organic process that would lead to a richer theme. My three words were 'Nature,' 'Colourful' and 'Fun' and Allan's were 'Fun,' 'Informal' and ........ I've forgotten the third #terriblewife. From there we developed different bits of the day and soon our woodland cinema theme emerged! We held these words in mind when looking for vendors; falling in love with the AMAZING Errol Park with its quirky fun interior and stunning natural ground; loving the family dining style approach of Wild Rover Food (omg soooo tasty and all locally and sustainably sourced); booking photography with the talented Nikki Leadbetter Photography and videography with Brian Scott Weddings due to their informal natural reporter style shots; and having Pretty Little Punk personalized wedding converses for the bride, bridesmaids and mother of the bride to change into after the ceremony - no excuses not to be on the dance floor. We went pretty heavy on the DIY but were happy to do so. With Allan being a tradesman he is pretty handy, and I love a crafty project. Upon reflection, we perhaps have underestimated the hours and money that this approach would take, but for us, it was these personal touches that would give the wedding the vibe we wanted. For us this was something that was important - so for us, it was worth it (even the repetitive strain I got from folding 480 origami cranes). The ushers serving popcorn to guests as they arrived at our ceremony so they had a bite to eat during the main event. Our VHS table plan - find your film to find your seat! The hangover kits for guests so they were left with great memories from our day rather than a thumping head! 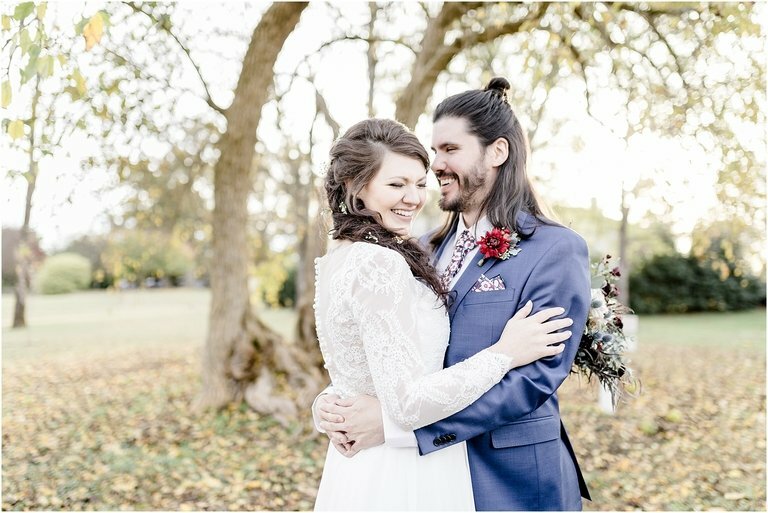 The amazing work of our florist Tupelo Tree - she is a "florist and woodland artist" so immediately I knew she was the one who would bring our vision to life. She added ferns, moss and wild flowers and her work is truly stunning - swoon. 1.Do what is important to you. Shape the wedding to be a reflection of you both. Stay true to what matters to you. I am so impressed we managed this, I am working on my assertiveness and am aware I am conflict avoidant but we managed to stick to our guns on a number of things (e.g., no kids, and no obligation guests) and I am so happy, and proud that we did. I know it's an obvious one that everyone says, but it's true! One of my bridesmaids had just qualified as a yoga instructor so the night before and the morning of the wedding she led a yoga class and some meditation. For me this was the perfect way to start the day in a calm mindset, ready to be mindful of my special day. Once the planning is done.... it's done. Letting go of control, particularly of things which are out of your control frees you up to be present. I am a planner by nature and knew this could be a stumbling block for me, especially since we didn't have a wedding coordinator. I approached this by putting together a detailed, step-by-step, itinerary of the day that outlined what needed to happen, and who needed to do it. I emailed this out in advance of the wedding to all the vendors and the wedding party. This meant that on the day I felt able to let go, not needing to think about any part of it, or if people would be doing what needed to happen. I had done my bit...... and all was left was for me to enjoy the day. Lovely read, can I ask what was in the hangover kit-I’m intrigued. Did you consider Celtic wedding bands which I have an interest in? Inside the hangover kits were: paracetamol, a sachet of Nescafé and a plaster! Such a fun and beautiful wedding! Indeed a lovely read.